McDonald’s CEO Don Thompson spoke at an event hosted by venture capital firm Andreessen Horowitz on Thursday night, where he gave Business Insider his take on “fast-casual” restaurants like Chipotle that have been eating away at the Big Mac maker’s revenues in recent years. Fast-casual restaurants don’t offer full table service, but provide customers with higher quality food — and at higher prices — than what’s typically served at fast-food chains. Those restaurants also give you more ways to customise your order, like you might find at Panera Bread or Qdoba. 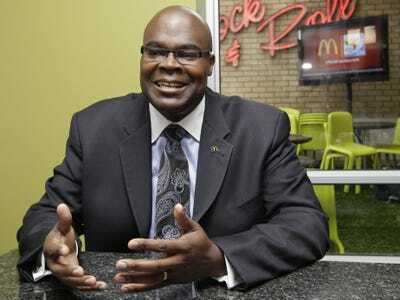 Thompson suggested McDonald’s didn’t want to pigeonhole itself into being only one type of restaurant. 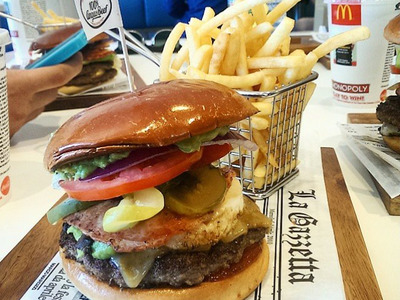 McDonald’s Australia is trying a more expensive menu that allows customers to build their own burgers using touch-screen kiosks and select from a variety of toppings and sauces, similar to what you might experience at Five Guys or Shake Shack. The fast-food chain has also been trying the burger kiosks in southern California. “If anything, I think McDonald’s will be more and more and more, and not just this type restaurant or that type, but a restaurant that’s trying to satisfy diverse needs,” Thompson said. That may be the only way to satisfy such a huge audience — Thompson claims the company serves 70 million people every day.